There are a lot of famous Star Trek fans out there — Olivia Wilde, Mila Kunis and yours truly — but none of us are as rich as King Abdullah of Jordan. The Middle Eastern monarch, who was once an extra in an episode of Star Trek: Voyager, has given the green light to a $1.5 billion Star Trek-inspired theme park that will boldly take Jordan where no Gulf state has gone before. While the theme park will not be powered by dilithium crystals, it will utilize green technology in order to lower its carbon footprint. All electricity at Jordan’s Star Trek theme park will be provided by renewable energy, while a center will be constructed to educate visitors about the importance and benefits of renewable energy sources and eco-friendly practices like graywater harvesting. 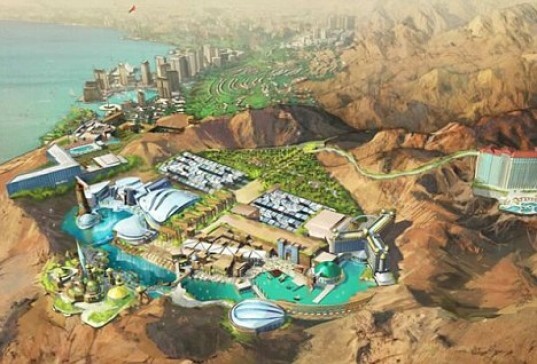 The Star Trek theme park (which I’m hoping will be called The Starfleet Green Academy) will be situated in the Jordanian coastal city of Aqaba and will be spread over a 74 hectare area. It will consist of 17 entertainment zones and a four-star hotel among many other things. We are guessing holodecks, transporters and shuttlecrafts will not become available. I hope he is a Firefly fan too we need a new series!!! Great... Ster Trek celebrates diversity and freedom, they want to build this in a country where being gay is a crime? Thanks for the Article, its my second time visiting your site and must say it is very interesting hope to check back soon. English: Availability of energy and water - is a means for positive environmental change. Look at the picture in the article that commented: there (in this areas)is little of water and vegetation. You have to turn deserts into blooming gardens! If you have money, change the climate to the better! We have a project. По-русски: Наличие энергии и воды - это средства для положительного изменения окружающей среды. Посмотрите на фотографию в комментируемой статье: в той местности мало воды и растительности. Нужно пустыни превращать в цветущие сады! Если у Вас есть деньги, то меняйте климат в лучшую сторону!У нас есть проект. No dilithium crystals? That's just lame. I'm holding out to see what the UAE can come up with. i would really like to help build this city, with only the basic human needs as my pay. $1.5B could build 5 million of those $300 houses that won the building contest. Wouldn't that be a far more useful and long-term productive use of the the money? Well Done. I will looking forward to visit that place. 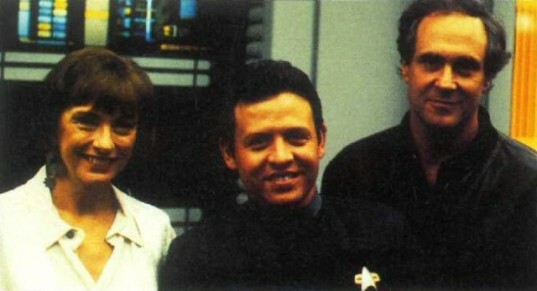 Making it based on renewal energy honours the original spirit of Gene Roddenberry. Haha, It really feels like this project can go in any direction. Good or bad. Lets hope for good at least. There are a lot of famous Star Trek fans out there -- Olivia Wilde, Mila Kunis and yours truly -- but none of us are as rich as King Abdullah of Jordan. The Middle Eastern monarch, who was once an extra in an episode of Star Trek: Voyager, has given the green light to a $1.5 billion Star Trek-inspired theme park that will boldly take Jordan where no Gulf state has gone before. While the theme park will not be powered by dilithium crystals, it will utilize green technology in order to lower its carbon footprint.